Islamabad: The next round of India-Pakistan defence secretaries’ talks on Siachen will be held on June 11-12 in Islamabad. 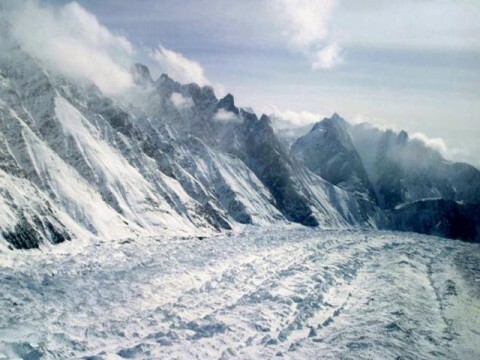 The announcement about parleys on Siachen, which got back into limelight after the April avalanche in the Gayari sector, was made after Pakistan sought postponement of upcoming talks on Sir Creek which were to be held in New Delhi next week. The dialogue on Sir Creek under the resumed peace process was earlier programmed for May 14-16.New dates, the Foreign Office said, would be decided through diplomatic channels. Indian media claimed that the request for postponement of Sir Creek talks was linked to dialogue on Siachen. It is said that Pakistan first wanted to assess the progress on Siachen before getting back to the table on Sir Creek. But, the FO denies this inference. Following the April avalanche, which trapped 139 troops and civilian workers in a military compound that is still buried under a mass of snow and boulders, there have renewed calls for demilitarisation of Siachen. Army Chief Gen Kayani, during a recent visit to the region, accused New Delhi of stiffening its position on the 76-km-long Siachen Glacier a part of which was occupied by India in April 1984 through the Operation Meghdoot. Both Indian and Pakistani sides acknowledge the futility of the conflict in what is now described as the world’s highest battlefield, but Indian army’s resistance is preventing its resolution. At the last round of talks on the Sir Creek in 2011, Pakistan held that the 2007 joint survey of the 60 mile marshy strip shouldn’t be implied as an agreement on the dispute. Pakistan lays claim to the entire creek in accordance with the Bombay Government Resolution of 1914. India, on the other hand, claims that the boundary lies mid-channel. Indian stance is based on the Thalweg Doctrine in International Law. The two sides have to determine whether the boundary lies in the middle of Sir Creek as claimed by India, or on its east bank, as per Pakistani position. Both sides had in 2007 exchanged maps of the strip of water in the Rann of Kutch marshlands marked with their respective positions during talks in Rawalpindi. The two countries had on that occasion also discussed the delimitation of the maritime boundary in the Rann of Kutch on the basis of the joint survey. This entry was posted in News and tagged India, Indian Army, Indian military, Kayani, Pakistan, Pakistan Army, Siachen, Siachen glacier, Siachen Talks, Sir Creek. Bookmark the permalink.